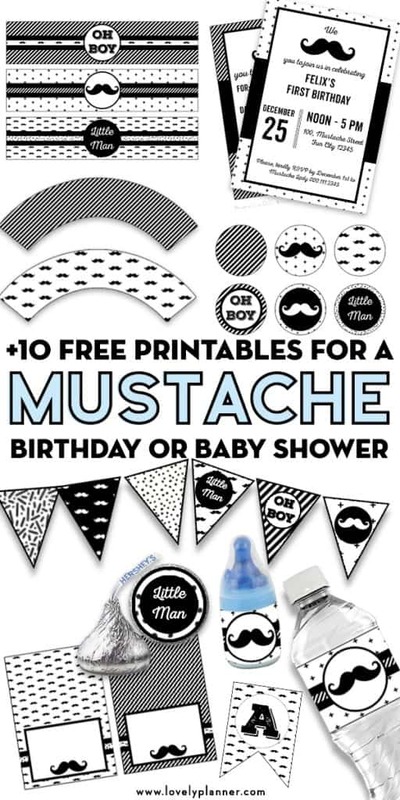 I’ve been sharing many free printables to help you throw an awesome Mustache birthday, Mustache Baby Shower or party! Now is the time to recap them all to help you decorate your Mustache Party in just a few clicks and, even better, totally for FREE! 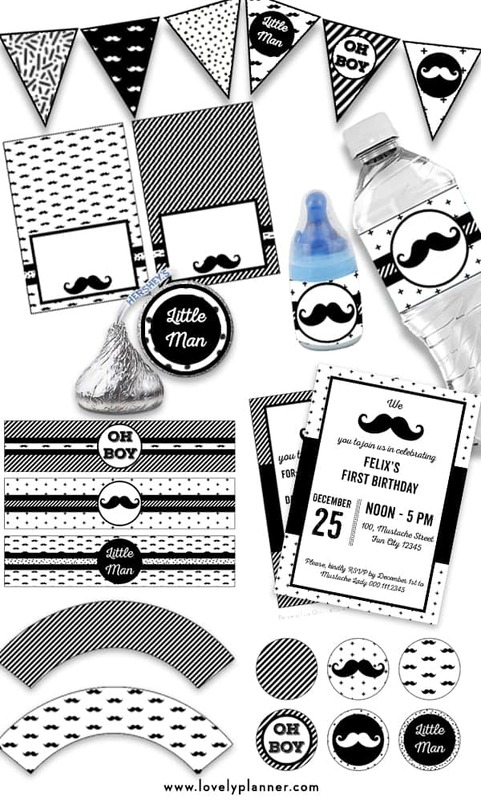 All these Mustache Party printables are coordinated so you can either go full on and download every single free printable or simply pick the elements you like most. No matter what you decide, all the printables will match and look great together! 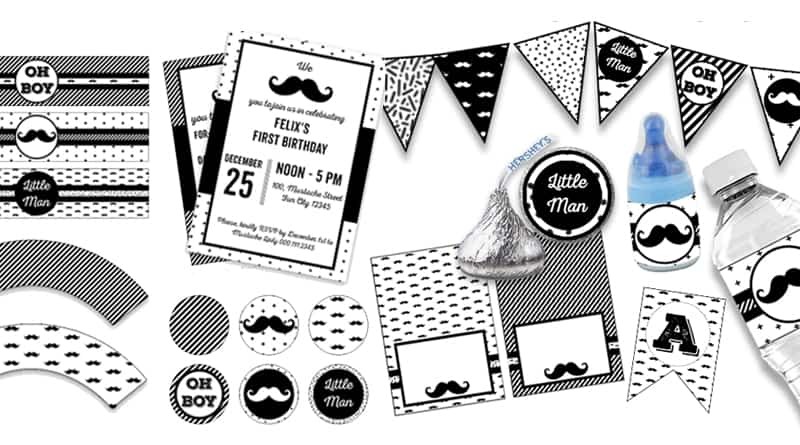 Some files are even editable to make these printable even more tailored to your event: invitations, food tents/place cards, baby bottle pop labels and candy bag toppers include editable files. Ready to throw a Pinterest worthy party? Let’s dive in! Click on the next pages to browse through the 10 free printables and then click on each title/image to access the article containing the printable files and instructions for each element.